So, when I work from home, I tend to start my day with a workout/shower/coffee/and go right back into bed. To do work. Until 5pm. It sounds appealing but can be monotonous. When I first began, I would mix up my days with working from my bed or bringing everything down to the kitchen table. I'm all for a change of scenery but being in the kitchen for more than three hours made me want to A) eat everything in the cupboards and B) make some kind of baked good. Positive outlook indeed, but not too productive. I actually do a lot of things around my laptop. It's weird and kind of convenient I guess. Note: I only eat foods that don't involve crumbs around my keyboard. 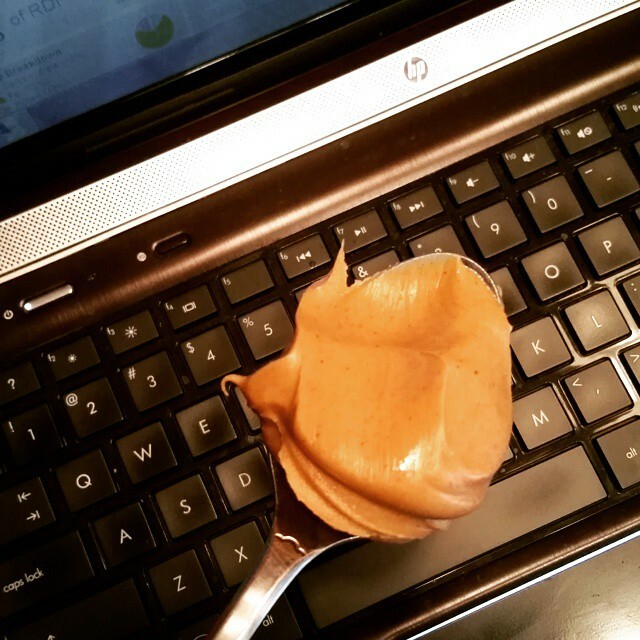 But peanut butter is a close one as it would be hell to clean up between those keys. I just realllly wanted peanut butter on a spoon this particular day. This is the only time I actually remember doing work at the kitchen table. The first year with a baby truly is a blur. 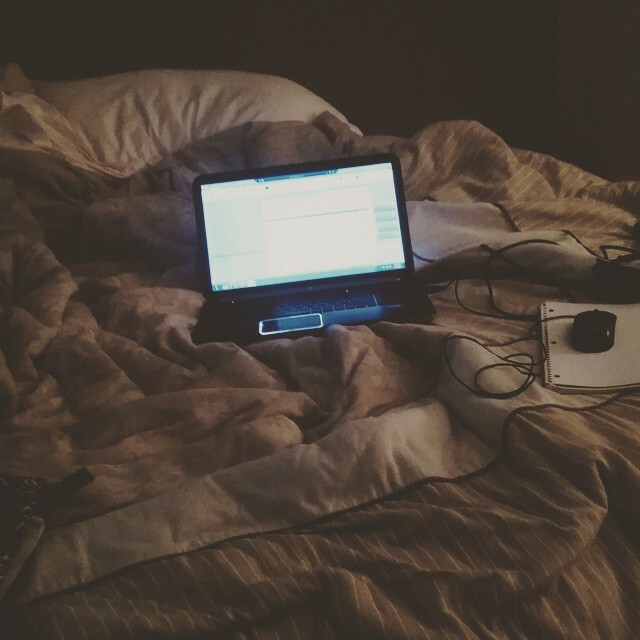 If you do work from home, where do you typically work and how do you organize/ vary your days? I'll probably be keeping this bed-desk up for a while unless I come up with a cooler name. I am literally doing the same thing on my bed every time because in comfortable criteria working become easy. For the same reason I am really interested to take my laptop with me one bed.